Leisure World Water Park(Pvt) Ltd is planning to inaugurate the first ever man-made Tropical Rain Forest in Sri Lanka which is planted with around 50 species of what is in Sinharaja Tropical Forest on World Environmental Day June 5, this year. This forest is created in an area in extent 6.0 Acres with the intentions of educating and inculcating the value of protecting flora. “Introduction of latest type of Bumper Cars to Sri Lanka and Sky Walker amusement activity to visitors also will take place during the month of August”, Managing Director of WWPL Shammi Muthumala said while addressing the media on their visit to the “Leisure World” recently. “Leisure World” will be a real experience not only for kids but for all. Anyone who wants to release from their stressful busy lives just for a moment “Leisure World” the one and only theme park in Sri Lanka is ideal place to have a relax in a friendly nature. Leading Fruit importer who have decided to diversified his business to the hospitality industry was become a realistic with the birth of “Leisure World” of Seethawaka, Kaluaggala. The total land is 53 acres and 20 acres have been developed for theme park. More than seven acres were received for Rain Forest.Coconut cultivation spread along the remaining area. Shammi Muthumala said “When I was abroad in my formal business travels I could get more experiences with variety entertainments with non poluted nature that will not available in Sri Lanka. This is how the concept adopted my mind. 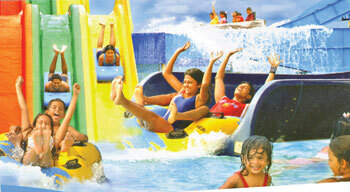 This was the initiation of “Leisure World” one and only “Theme Park” in Sri Lanka specially for the kids entertainment. He also said the “Leisure world” was accessed to give opportunity for the less privileged people to get just away from their stressful lives through this new concept. The park commenced its commercial operations on March 27,2006 with the total investment of US$ 3.75 million also under the facilities of Board of Investment(BOI). “A Game Arcade with over 20 different latest items from car racing motor cycle racing to action and fun games will be displayed on 29 to 50” LCD Screens for the New year season. It can be experienced and tried by the young and the old”, said Muthumala to media. 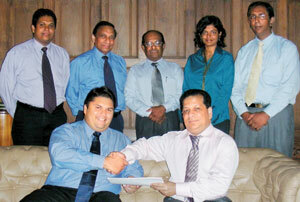 The Galle Face Group (GFG), home to some of most admired Boutique Heritage Hotels in Asia, has just completed the first phase of a long-term strategic direction that aims at rapid regionalizing, heritage brand extension, re-structuring and integration of the Ceylon Hotels Corporation properties that the Galle Face Hotel acquired in 2004. The Chairman and Senior Management of the entire Group have been working with MTI Consulting to develop the New Strategic Direction, which has also seen the formulation of specific sector and functional strategies. Former General Manager of Jetwing St. Andrew’s in Nuwara Eliya, Wester Felthman, took over the reigns at Jetwing Lighthouse in Galle. Having been in the industry for the past twenty four years, Felthman draws his experience by working in many hotels and resorts both in Sri Lanka and in the Middle East. He started his career as a Receptionist and Guest Relations Officer at Sigiriya Village in Sigiriya. 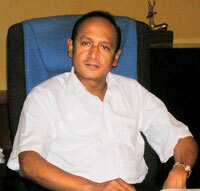 He moved to the Republic of Yemen when he joined the Taj Sheba Hotel, a member of the Taj Group. He then joined the Movenpick chain of hotels where he served as a Room Division Manager and later joined the Universal Hotels and had the privilege of being the pioneer General Manager of two of its hotels that opened in 1997 and 2002. Jetwing Lighthouse offers its guests a host of exciting experiences which include hot-air ballooning, a walk through the Galle Fort, a tour of the Rumassala Hill. Jetwing Hotels have fourteen properties located in eight unique destinations around Sri Lanka. Jetwing Beach, Jetwing Ayurveda Pavilions, both in the happening town of Negombo, Jetwing Warwick Gardens in the misty hills of Ambewela, Jetwing Vil Uyana, just near the Sigiriya Rock Fortress just to name a few. Wester was replaced at Jetwing St. Andrews by Renuke Coswatte who was formerly the Assistant Manager at Jetwing Beach in Negombo. 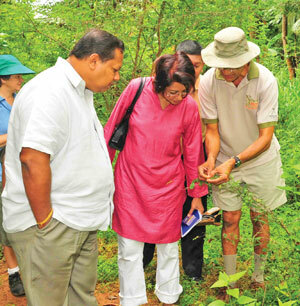 Renowned butterfly specialist Dr. Michael Van der Poorten (extreme right) explains the plant life at the Butterfly Garden to Director, John Keells Holdings PLC, Sumithra Gunesekera and Head of IUCN Asia’s Business and Biodiversity programme Shiranee Yasaratne. The Cinnamon Lodge and Nature Odyssey in collaboration with the John Keells Social Responsibility Foundation recently opened a Butterfly Garden at the Cinnamon Lodge, Habarana. The objective of the project is to develop an ecologically rich plot of land as an ideal habitat to attract butterflies; simultaneously creating awareness among guests, schoolchildren and other visitors about butterflies and biodiversity. The garden currently comprises about 300 plants that attract a wide variety of butterflies. Situated on a ten acre block of land at the Cinnamon Lodge farm, the Butterfly Garden was declared open by Director, John Keells Holdings PLC, Sumithra Gunesekera in the presence of renowned butterfly specialist Dr. Michael van der Poorten, Head of IUCN Asia’s Business and Biodiversity programme Shiranee Yasaratne, staff of the Cinnamon Lodge, schoolchildren from the area and other guests. The consultant on the project is the renowned butterfly specialist Dr. Michael van der Poorten, who has been studying butterflies in Sri Lanka for many years. “We are trying to promote the development of habitats in which butterflies can live and sustain stable populations”, said Dr. Van der Poorten. A total of 244 species of butterflies are found in Sri Lanka, including the recently discovered Orange Migrant by Dr. Van der Poorten. Among them, 20 species are endemic to Sri Lanka. A total of 66 butterfly species are considered as nationally threatened, according to the IUCN 2007 National Red List. Director, John Keells Holdings, Sumithra Gunesekera said, “My congratulations to Nature Odyssey and Cinnamon Lodge for such an original, yet simple way of making a difference to our environment. We often take butterflies for granted, never realising the part they play in our ecology.